Welcome to the Law Offices of Baddour, Parker, Hine & Hale, P.C. We look forward to meeting your needs by providing you with useful, timely information about a wide range of legal areas. Please check our site often for updates on important emerging issues. When you need to be sure that you are getting the very best legal representation, count on us to protect your rights, fight aggressively on your behalf, and get results. Our commitment to you is to go the extra mile to win your case, and we take that pledge very seriously. We offer free initial consultations, flexible payment options, as well as over 30 years of experience in North Carolina. So call us today for all your legal needs. Were you involed in a personal injury or know someone that was injured, check out All About The Ins and Outs of Personal Injury Law to find out more information about personal injury. Baddour, Parker, Hine & Hale, P.C. 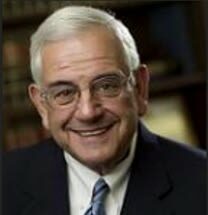 was founded in 1967 when Philip A. Baddour, Jr. began practicing law with the late Robert H. Futrelle. H. Martin Lancaster joined the firm in 1971 until he became a United States Congressman in 1986. John C. Hine joined the firm in 1977, followed by E.B. Borden Parker in 1978 and James W. "Will" Spicer in 2007. Phil Baddour concentrates his practice in Personal Injury, Workers' Compensation, Social Security Disability and Civil Litigation. Borden Parker works primarily in the fields of Governmental Representation and Domestic Relations. Estate Planning, Estate Administration, as well as Tax and Business Matters are handled by John C. Hine. Will Spicer focuses on Real Property Law, and Governmental Law. With our professionally trained staff of paralegals, legal secretaries and assistants supporting us, we use state-of-the-art equipment and the most current legal research materials to ensure that our clients are served in a timely, efficient and responsive manner. Baddour, Parker, Hine & Hale, P.C. serves individuals, businesses, and municipal and county governments throughout Wayne and Green Counties and Eastern North Carolina. We provide a comprehensive range of professional legal services in the areas of Auto Accidents, Personal Injury, Brain Injury, Wrongful Death, Workers' Compensation, Social Security Disability, Wills, Trusts & Estates, Taxation, Business Law, Civil Litigation, Product Liability, Premises Liability / Slip & Fall, and Government. Baddour, Parker, Hine & Wellons, P.A.